Flashback time! Here’s one of my favourite foodie places in Singapore from my 2013 trip. My main reason for visiting Singapore was to eat. Yep, I’m not ashamed to admit it. I did a lot of research before we left to make sure no meal was wasted. Wild Honey made the top of every must-eat breakfast list I found, and for good reason. We booked a table, and were glad that we did, it’s clearly a popular place, even on a weekday. I ordered a melon juice to start with, and it came out quickly and was reasonably sized and refreshing. This gave us time to consider which of the country-themed dishes to pick. 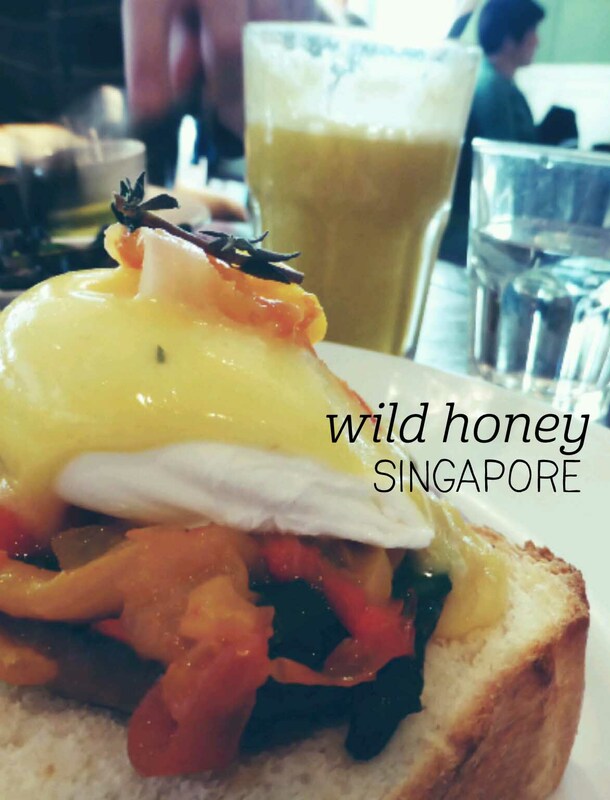 Wild Honey’s menu has breakfasts inspired by foods from all over the world, reflecting Singapore’s nature as an international hub. I opted for the ‘Portobello Road’, with poached eggs, mushroom, capsicum, spinach and hollandaise, served on a brioche toast. The eggs were perfectly poached and the hollandaise was obviously house-made. The brioche was soft and not overly sweet, but it was a huge serving and I struggled to finish it. Luckily Wild Honey has some lovely decor to admire while you take a digestion pause. 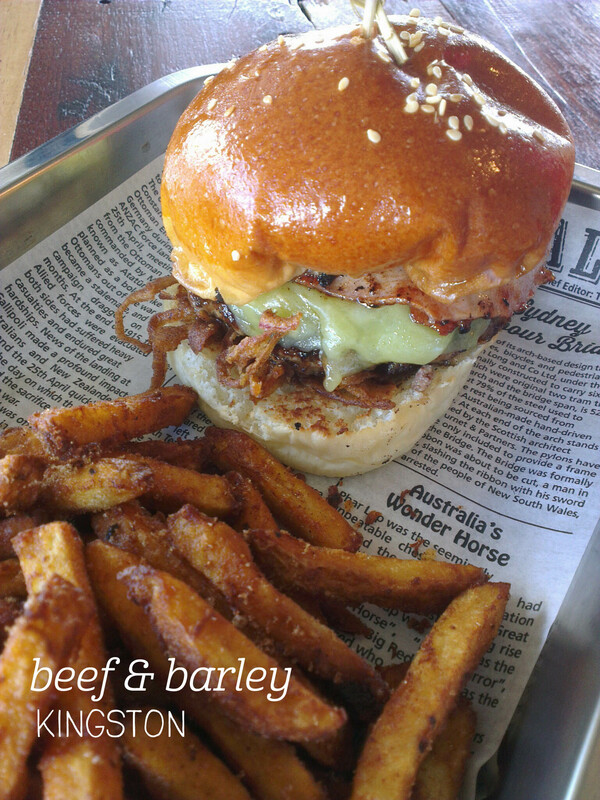 With my passion for burgers, I was super excited about Beef & Barley opening on the Foreshore, offering burgers and craft beer. The menu has all of your classic burger needs, with some exotic additions (the Pedro, with chorizo and beef), but I stuck to the classic beef burger this visit – the American ($17), with beef, bacon, fried onion, cheddar, BBQ sauce and mustard mayonnaise. I must admit, I was really impressed by the service here – staff were eager to take my order and be helpful, creating a friendly vibe without being over the top. Burgers come with a serve of their beer battered chips; unusual, as they have a sweet dusting on top. I think this worked with just a little sugar, but was a bit much on some chips, and to be honest, it probably isn’t necessary as the flavour of the potato and batter alone are great. The burger had a huge patty cooked through and nicely charred, and whilst I would have liked more melt on the cheddar, it was really tasty and complimented the streaky bacon’s salty kick. The fried onions were magical (think a less oily onion ring) and the only thing missing was some pickles (which will be an option later down the track, I’m told). Oh yes, these guys have a winner. 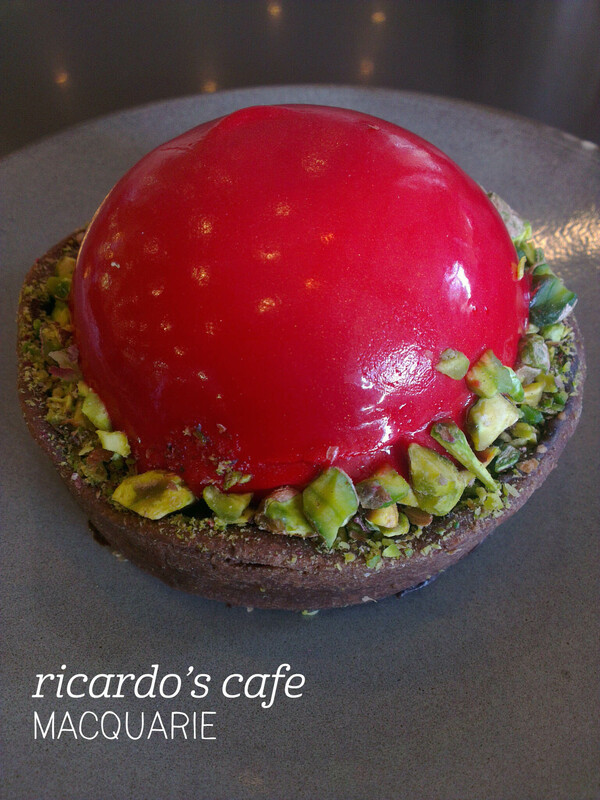 After seeing the cake display cabinet at sister venture Space Kitchen, I knew I had to stop in at Ricardo’s Cafe to try something from their extensive selection. Friends had raved about the cannoli there, but I was sucked in by the incredibly beautiful (and large) cakes in the display cabinet, and after much deliberation (the Cookie Monster? Snickers Gaytime? 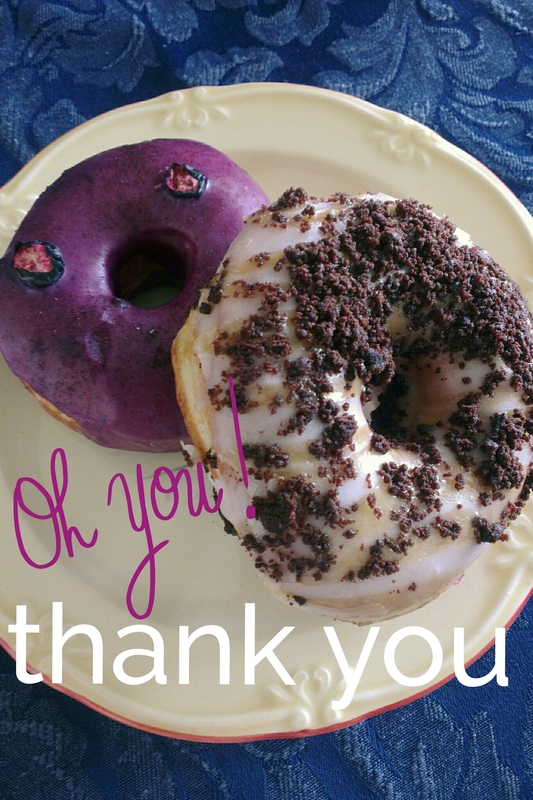 ), I ordered the Raspberry Dome ($9.90) to dine in. The serving is massive – I would recommend sharing, otherwise the staff are happy to provide takeaway containers, so none of the deliciousness goes to waste. This cake is at its best when you can get a mouthful with all of the elements – the raspberry mousse, blood orange curd, chocolate tart shell and pistachio crumb all work together into a light but tasty combination. The raspberry mousse is beautifully light and fluffy, while the blood orange curd adds weight in the flavour department. The chocolate tart shell was a good choice, adding textural contrast, but the pistachios really brought the whole thing together. 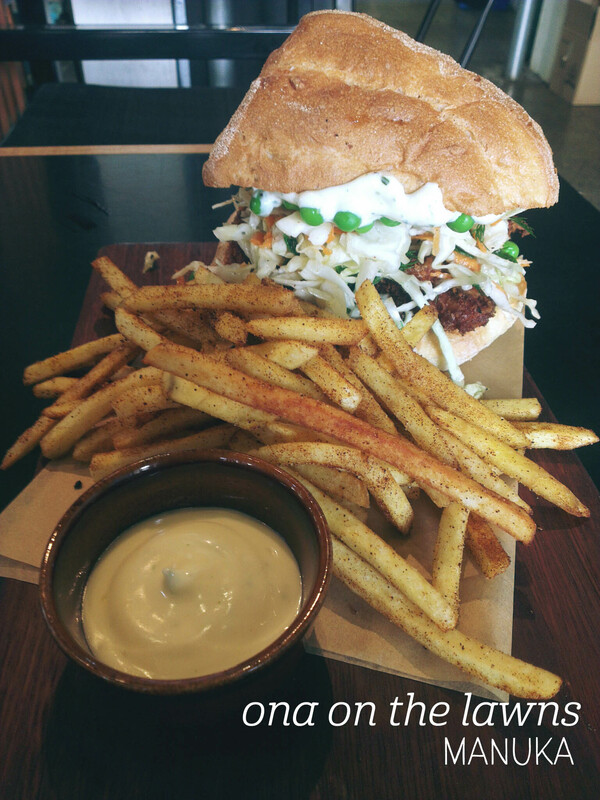 I would happily order this again – especially when there are plenty of leftovers for future me to enjoy! I love wandering through The Rocks, especially around lunchtime, when you can be tempted by all sorts of lovely smells in the narrow alleyways. 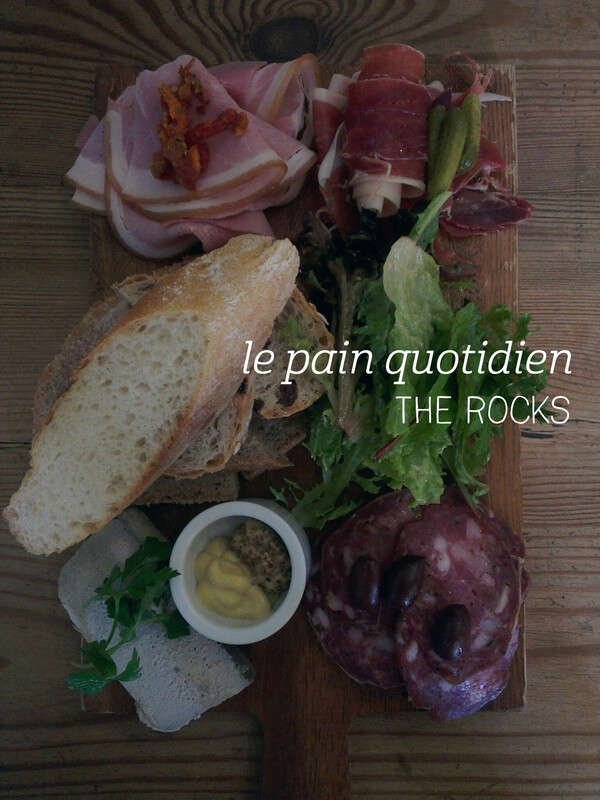 I stumbled across Le Pain Quotidien from the backstreets, and moving inside, I was delighted to discover secluded little private rooms – sure they seemed small, but quaint. It was only when I took my seat in the main room that I realised the restaurant/bakery occupies the old police station! 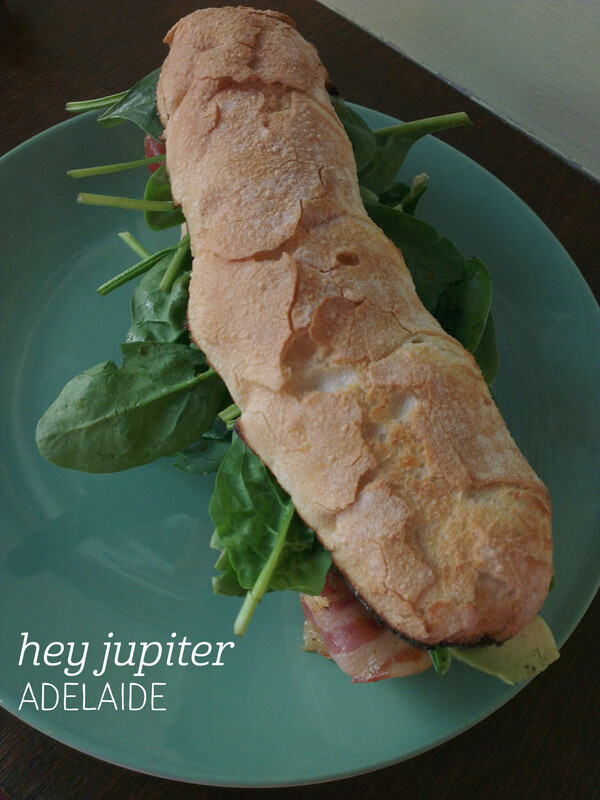 The space is utterly charming, and one menu item leapt out at me – chacuterie. I ordered it ($26) with a jug of housemade lemonade ($4.50), both of which arrived quickly. The lemonade was everything I was hoping it would be, not overly sweet, but not mouth-puckeringly sour. The chacuterie? Oh my. Apart from being beautifully presented on a bread board, I was smitten with every flavour included. There were generous servings of ham (simple and fresh), proscuitto (rich and salty) and salami (just plain yum), as well as a subdued but elegant wedge of pate, which, combined with the range of bakery breads, stole the show. I adored the olives, baby cornichons and sun-dried tomatoes, as well as the dressed lettuce, to break up the meat-fest. Hearty, tasty fare that I will be back for.